The Fort Lauderdale accident attorneys at The Winston Law Firm will offer free legal consultations to veterans attending the Summer Retreat of the Freedom Veterans of Florida, Inc., to be held July 16-17, 2011 in Key Largo, Florida just south of Miami. Personal injury attorneys Brad Winston, Alexander Clark, and Christopher Wigand will be on site to meet individually with veterans and their family members, answer law-related questions, and advise vets on their legal rights. Mr. Winston is a Board Certified Civil Trial Lawyer in accordance with the rules of The Florida Bar. Veterans who are not able to attend the summer retreat but wish to speak with a Fort Lauderdale accident lawyer can contact the law firm at [phone-number] or online at www.winstonlaw.com to schedule an appointment. Details on the summer retreat are available at www.freedomveterans.net. 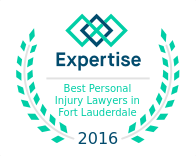 The Fort Lauderdale personal injury law firm of The Winston Law Firm, with offices in Plantation, FL, has been defending consumers injured by auto accidents, motorcycle accidents, defective products, medical malpractice, dog bites, and slip and fall cases since 1989. The firm’s Fort Lauderdale accident attorneys are also motorcycle enthusiasts, and understand the freedom and enjoyment that comes from riding a motorcycle. When a motorcyclist is involved in an accident with a car or truck, however, the result is almost always a serious injury. 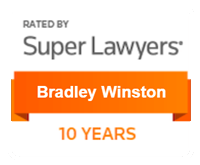 Motorcycle attorney Brad Winston has been riding motorized bikes since childhood, and has been in several accidents himself. The firm has handled many motorcycle accidents involving the negligence of others or a defect in the motorcycle itself. Accident victims across Broward County, including Coconut Creek, Cooper City, Coral Springs, Dania Beach, Davie, Deerfield Beach, Fort Lauderdale, Hallandale, Hollywood, Lauderdale Lakes, Lauderhill, Lighthouse Point, Margate, Miramar, North Lauderdale, Oakland Park, Parkland, Pembroke Pines, Plantation, Pompano Beach, Sunrise, Tamarac, Weston, and Wilton Manors, can set up a free consultation. Details at www.winstonlaw.com.